The Elder Team provides pastoral leadership for the church, exercising general oversight and spiritual authority as a plurality of leaders (this means there is no one ruling elder or senior pastor here). The elders together articulate the central vision, mission, values, & goals of church. They are available for services of prayer, counseling, discipline, and spiritual guidance. ​They are responsible for evaluating, developing, and training leaders & ministries. The elders are ceremonial officiants (weddings, funerals, baptism, family dedications) and legal officers of the church. They are ultimately responsible & accountable for the health of the church. In 2008, Chad began the search for a new church he could call home. Conveniently located across the street, Chad started attending Redeemer and fell in love with this new family. Ever since that first Sunday, Chad has been happily attending and serving at Redeemer, including re-designing its weekly liturgy, advocating for its arts culture, leading the preaching team, and discovering new ways to give and receive hospitality. But most importantly, it was at Redeemer that Chad met and married his wife, Rachel. They have three children: Madeleine, Lucy, and Henri. John grew up in Chattanooga, TN, and met his wife, Stacie, during their undergraduate studies at Bryan College, a Christian liberal arts college. After graduating with a B.A. in psychology, John went on to receive an M.S. in counseling from Western Carolina University and a PhD in psychology from Purdue University. John then completed a postdoctoral fellowship in clinical psychology at Albany Medical Center in upstate NY, before relocating to Southern California for a faculty position at Biola University’s Rosemead School of Psychology. In addition to teaching classes and conducting research, John is also a licensed psychologist and maintains a part-time practice out of the Biola Counseling Center. Greg was raised in Cerritos, California, and obtained a B.A. in English Literature from Cal State Long Beach, followed by an M.A. in English Literature from Chapman University and later an M.A. in Theology at Fuller Theological Seminary. Prior to coming to Redeemer, Greg worked at Grace Brethren Church of Long Beach, where he served with the youth, college, and worship teams, as well as working on staff in the arts department and as an elder overseeing cultural renewal. Later, Greg worked as a Resident Director at Biola University for seven years. He has been married to Michele since 1999 and they live in La Mirada with their three children: Katrina, Nathaniel, and Elisabeth. They have attended Redeemer since 2006, where Greg has served as an elder, college pastor, worship coordinator, and internship coordinator, working part-time at the church before joining the staff full-time at Redeemer in August 2012. He currently oversees a number of ministries (community groups, arts, liturgy, administration, etc. ), as well as working to develop new ministry teams and leaders. He also serves as the director of the church staff, as well as helping to plan the worship services each week. Todd was born and raised in the tiny Kansas farming town of Medicine Lodge. There he met Anna, his high-school sweetheart whom he married several years later. His studies in history at Wheaton College during his undergraduate years prompted him to travel farther afield, first to the University of Cambridge where he completed his PhD studies, focusing on the connections between British, American and Middle Eastern history in the twentieth century, and then to the tiny country of Qatar in the Middle East where he spent four years teaching at an Arab university. During these years abroad, Todd and Anna were delighted by the arrival of two lively children, William (5), and Nora (2). In 2014, Todd and his family relocated to Southern California when he accepted a job as Assistant Professor of History at Torrey Honors Institute, Biola University. ​Todd and Anna joined Redeemer Church in 2014, and have since enjoyed volunteering for the nursery and teaching the Younger children’s class. The Deacons provide the church with servant leadership, focused upon practical service to those in need, physical caretaking and stewardship of the church, and oversight of particular areas. The deacons oversee collection and distribution of funds to those in need through the deacon's fund (a special collection made once a month during our Sunday Morning Worship). They help and encourage the poor, jobless, sick, widowed or grieving, elderly, disabled, or otherwise needy as the representatives of Christ. They are available for giving wise counsel to those in need of practical advice & providing examples of deep faith for those in crisis (turning to and trusting in God’s provision, hopeful in despair, etc.). The deacons lead out in taking care of the practical, physical needs of the gathered church (e.g. preparing for worship services, organizing group meals, & looking for needs at group activities). ​Jonathan was raised in the Philippines, where his family was serving as missionaries. He attended Biola University, obtaining a bachelor’s degree in the film program. He currently works full-time at Trinity Reprographics in Cerritos. Amy Dagen was born in Southern California, but spent the majority of her life in the Czech Republic as her parents engaged in church planting mission work from 1997-2013. After graduating from high school in Prague, Czech Republic, she moved back to SoCal to attend Biola University, where she completed her B.S. in Business Administration in May 2017. She was introduced to Redeemer during her freshman year by her sister, Jessica, and happily committed to the community, becoming a member in 2015. She was immediately drawn to the congregation, especially valuing its liturgy, passion for teaching, and emphasis on corporate prayer. Since starting, she has also been involved in a fantastic community group, helped with the A/V team, and became a Nursery Coordinator in 2017. Amy currently works at ATEN Technology in Irvine as an Administrative Assistant, taking a break from academia before going to pursue a J.D. in the future. Her dream is to work with the International Justice Mission or the UN to strengthen justice systems internationally to protect the world's vulnerable. In the meantime, she loves spending time with friends, watching movies, getting lost in books, and eating tons of Mexican, Indian, and Thai food. Born in Orange County but having grown up in the Czech Republic as a missionary kid, Jessica returned to Southern California to attend Biola. After feeling a deep desire to pursue full time ministry, she studied Christian Ministries at Biola. She began attending Redeemer in 2012 during her freshman year, excited to have found a church that tenaciously held to the hope of Christ while acknowledging the brokenness of the world as it is. She began serving in the nursery and the servant team and has enjoyed the rich community of fellow churchgoers in church events, community groups, and the sharing of everyday life. She had hoped to do missions work internationally after graduating in 2015, but God showed her He has more for her planned here in Southern California for the present. She is currently studying at Talbot's Institute for Spiritual Formation, meaning she spends a lot of money learning to be quiet and listen to people. She enjoys getting lost in old books, exploring new foods (bonus points if you don't know how to pronounce the names), and listening to people share their stories and watching God working in them. Although born and raised in New York, Noelle Delacruz considers California home. With plans of becoming a doctor, Noelle graduated with a degree in Biology in Northern California, but God had other plans. She wished to attend Biola as an undergraduate student, and God unexpectedly answered the desire of her heart by bringing her back for the Science and Religion program. It was during this time that Noelle was introduced to spiritual formation and switched programs. 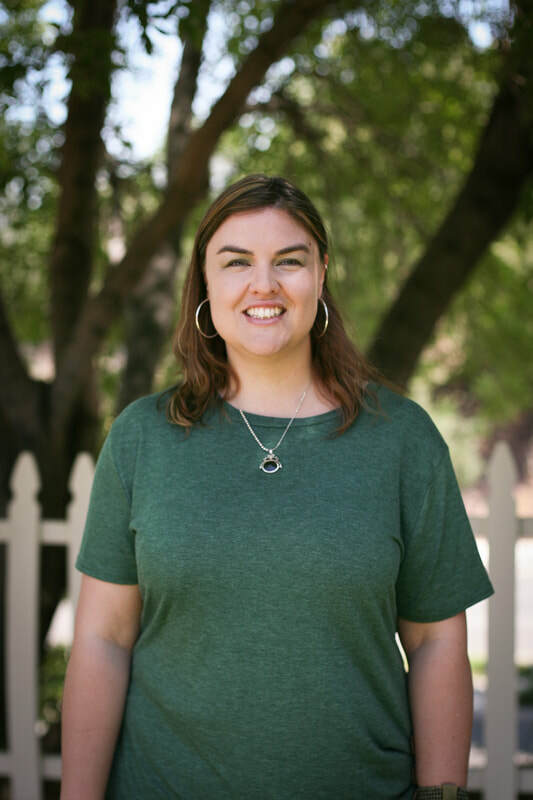 She graduated from Talbot's Institute of Spiritual Formation in 2015 and has served as a spiritual director at Biola since. Noelle has been part of the Redeemer community since 2013. It has been a safe and healing space to bring wounds and brokenness to the light. The church's intentionality to foster a family in which to be seen, known and loved well has been such a gift. She loves chocolate, sushi, exploring, and discovering good music that is new to her. Originally from Auburn, a gold-country town in northern California, Jessamy Delling visited Redeemer 7 years ago, acutely feeling the college freshman paradox of homesickness and homelessness. However, in Redeemer's service, she immediately felt at home. 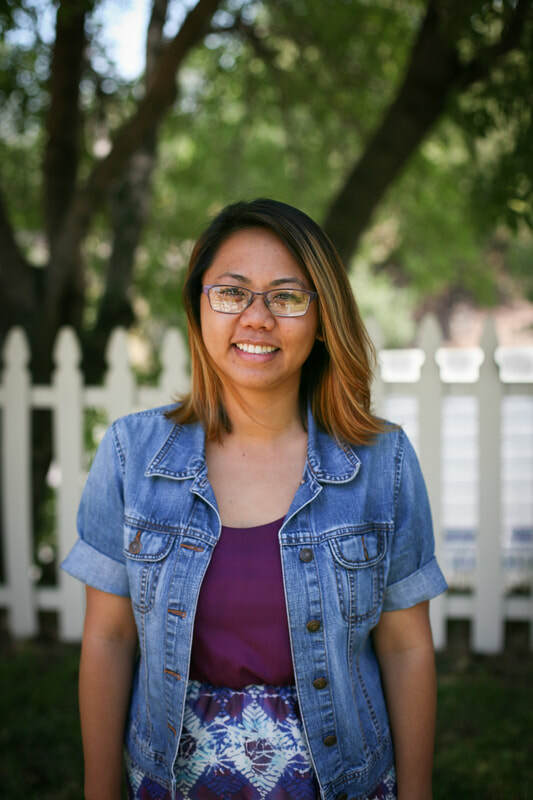 Upon graduating from Biola in 2015, she decided to make Redeemer the center of her post-college life. Over the past three years, she has slowly and intentionally increased her involvement in the various aspects of Sunday services and her awareness of ways to meet the everyday needs of the congregation. It delights her to move forward in the process of making that involvement into a formal commitment in the form of Deaconhood. She is currently the Assistant to the Director of the Torrey Honors Institute at Biola University. She loves her job; she loves her team; she even loves (most) Mondays. Originally from Northern California, Anna’s educational pursuits brought her to Southern California in 2005. Graduating from the Biola Conservatory of Music and the Torrey Honors Institute, she went on to earn a Master’s Degree in Flute Performance from Cal State Long Beach. Anna is the Conservatory Student Records Coordinator at Biola and also teaches flute to students of all ages. Anna first attended Redeemer in 2010 and was immediately drawn in by its emphasis on liturgy, community, and the arts. She cherishes her time with her Redeemer family, especially playing on the worship team and weekly shenanigans with her dear community group. Anna loves a good novel, long road-trips, Disneyland, making music with friends, and exploring Los Angeles with her delightful husband Phil. Hailing from Sacramento, Kenny has now lived in La Mirada for half of his adult life. He has been a part of the Redeemer community since 2007 when he was first invited to lead worship for the college ministry, was baptized at the church in 2008, and has been a member since 2009. Though several career changes have taken him to Northern California for some of the intervening years (Interim Youth Ministry Director in Sacramento '08-'09, Resident Life Dean in Santa Cruz '12-'15), he has always counted Redeemer as home and is thankful for the opportunity to again be a part of this community. Kenny holds a BA in Biblical Studies from Biola University and an MA in New Testament from Talbot School of Theology. He serves as the Development Coordinator for National School Project, resourcing other leaders in the ministry to reach public high school students with the gospel. When not working, he can typically be found reading in a local coffee shop or goofing around with his outrageous housemates. Born in Pretoria, South Africa, and after having spent two years on and off on the Big Island of Hawaii while her parents went to school with the University of Nations YWAM, Shelley and her immediate family moved to Olympia, WA in late 1991. After graduating high school, working, and traveling, Shelley moved to Santa Fe Springs, CA in 2002. She attended Cerritos College and then transferred to and graduated from University of California, Irvine in 2010 with a degree in Psychology and Social Behavior. After moving back to the Downey area in 2010, Shelley began attending Redeemer Church, La Mirada. In 2011, Shelley became a member of Redeemer and serves on the worship team, organized a women’s brunch for a time, and helped in children’s ministries. In early 2015, after ten years of working in Applied Behavior Analysis (ABA) and five years of battling chronic back pain, Shelley experienced a debilitating turn in her back health and had to have major back surgery. Facing heavy physical and financial limitations during this time, Shelley learned to trust in God’s provision in all aspect of her life as she spent the next year healing and rehabilitating from surgery. She looks forward to being increasingly more involved in other areas of ministry again as her back continues to get stronger and heal. Shelley loves reading, fishing, painting, singing, traveling and making friends of all ages and nationalities. Anne was born and raised in central Illinois and made her way west in 2010. She considers this move somewhat of a pilgrimage: a journey of being known, living fully awake, and finding herself in God. She sees Redeemer as a destination she didn’t know she would find, and she’s been a part of the community since 2012. She is particularly thankful for the community’s vulnerability, Sunday liturgy, and prayer emphasis. She has participated in the ministries of Scripture reading, spiritual direction, prayer, and teaching children. Without ever having set foot in the state of California, Erin Whitlow moved from New Orleans to La Mirada in 2010 to attend Biola University and the Torrey Honors Institute. After a brief stint of church-hopping and ride-bumming, she decided she wanted to find a church within walking distance of her dorm, so that her involvement wouldn’t be dependent on having a car, or an available chauffeur. She’s been at Redeemer ever since, drawn by the intentional liturgy, thoughtful worship and teaching, and incredible community. She currently facilitates a community group, coordinates the Hospitality Team, and ideates with the Arts Council, but has also worked in the office, and participated in a smattering of other ministries, such as Scripture reading, Children’s Ministry, and Servant Team. After graduating from Biola with a Bachelors in the Humanities, Erin is principally concerned with having eyes to see the beauty and joy of the everyday, and with cultivating honest, loving, laughter-filled relationships. For the last two and a half years, she has worked at a specialty coffee shop in Pasadena. She loves getting to create a space in which people feel at home, and pretending to be a coffee scientist. She has found her long commute to be an unexpected grace—an opportunity for solitude, silence, podcasts, phone calls, music, and killer views of the mountains.